Note: When linking your story, backspace over the info in the middle box and leave your name. It makes it easier on everyone. Thank you. Let me know if you have any questions. 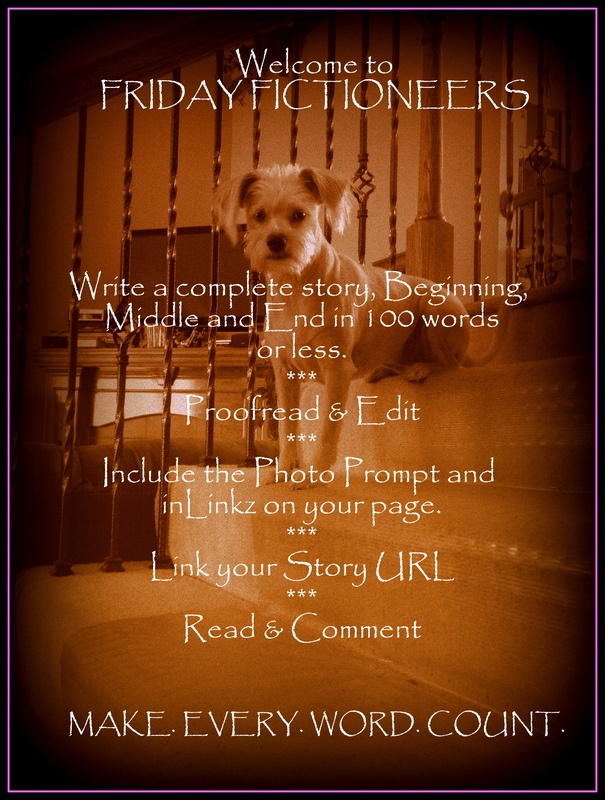 My story follows the PHOTO PROMPT below and the inlinkz frog. I appreciate honest comments. “Au revoir, mon ami.” Marie kissed Pierre’s ice-cold cheek. “Where Papa?” asked fourteen-month-old Eve. “He’s going to sleep his last sleep beneath the earth,” said eight-year-old Irène. Marie placed a bunch of periwinkles and Pierre’s favorite photograph beside him. The picture was of her on the balcony of their first apartment on rue d’Allemagne. Refusing a black drape, she and her daughters adorned his coffin with flowers. Days later Madame Marie Curie returned to the laboratory, her haven of discovery, joy and solace. You capture the essence of humanity within history the way x-rays reveal the structures that underpin all life. Imaginative in conception and smooth in execution, your story shines light into the shadows that time has cast on the events you describe. You illuminate. You enlighten. Good job. Your glowing praise goes well with coffee in the early morning. I thank you for Your Lovely words of Illumination. Madame Curie’s life was amazing, wasn’t it? Reading excerpts from her journals had me wanting to know more. What a woman, what a life. Well portrayed, the remarkable perseverance despite everything. She was a fascinating woman. I was the one who never quite grasped math or science which increases my admiration for people who do. Thanks for another great prompt. As always, it is interesting to see all the different directions people take this one. 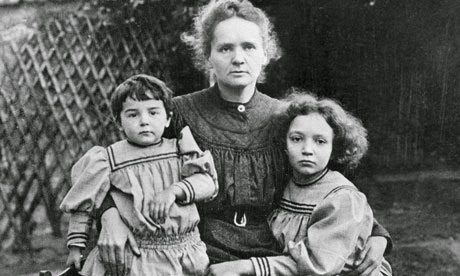 The Curies sacrificed so much for humanity, including, I suspect, their daughters’ futures, because surely such a radioactive mother can’t have avoided affecting her children too. 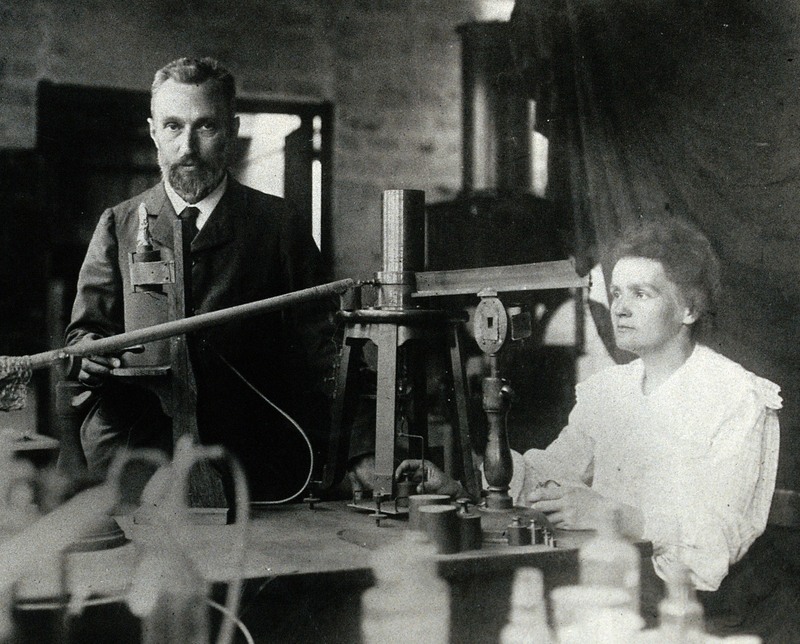 The Curies were amazing, particularly Marie. Iréne went on to become a scientist herself and was a devoted daughter. I didn’t find anything about Eve. Although Pierre was ultimately killed in a horse and buggy accident, the accounts say that he was weakened by their work with radium. An amazing family and I love the photos. I love the photos, too. It was fun to learn more about them. Superb portrayal of the human side of an extraordinary woman. The elegance and precision of your writing is a lesson to us all. Such sweet, affirming words, Elephant. Thank you. Thanks for this. She did work too. A perfect story to show that life goes on! I’ve realized that I’m spoiled. Your prompt is so very organized that everyone else is not as good. They put the picture and their story on two different pages and don’t always have the blue box or the link to get the text to put the box on my page. I want to tell them, “For goodness sake, check out Rochelle’s blog to see how it’s done correctly.” I don’t of course. Anyway, I’ve decided not to let it bother me. Thanks for being so organized. Of course, as a writer, I hope that somewhere in the mix, you liked my story. Thank you again for your kind words. Marie Curie’s story was one of the first we studied at school. Your story reminds me of the dedication and commitment that served as an example for all the girls at our school. Well done Rochelle. She was an amazing woman. So sad that she also succumbed to radiation. Thanks for reminding me of her. what a way to put a human face on the sacrifices of scientific research. This is all the more poignant knowing she died from radiation poisoning 30 years later. Great job. The more I research and write these little historical fictions, the more I see for myself that there’s a human face on it. I’m happy that comes across. That was a beautiful and tender scene, Rochelle. And then, quite the amazing woman. Madam Curie is a major figure in the history of science. You’ve brought history to life! It’s comments like yours that make me want to keep digging deep into history to find humanity. I’ve read something of Madam Curie before, long ago, this has me wanting to search for something to read of her now. Especially if it is a romantic as your piece.Très bien. I think there was much more to Marie and Pierre than meets the eye from the history books. Happy reading and thank you for such a lovely compliment. A beautiful story and a homage to a brilliant mind. Thanks Rochelle. I thank you for such a lovely compliment. Lovely, Rochelle. As usual, you educate without it feeling like a lesson, and you take me right into the hearts and minds of people I’ve heard of but could never meet. I marvel at this every week, because it’s so easy to read about the people of our history and never really think of them as people with feelings and families and lives beyond whatever made them famous. You see past all that and give me humans I could imagine as friends (or enemies). Great marker for (close enough) International Women’s Day too. I’ve been wracking my brain to come up with an articulate reply to your magnificent comment. Alas, I’m left with two words, thank you. What an expert you are at saying so much in so few words. You are also an inspiration in your own right. You provide craftsmanship that is a measuring stick by which so many others can judge their progress and learn to excel even more. ‘Expert’ and ‘inspiration’ are huge compliments. Defintely your niche! Funnily enough I did wonder if she was to be covered here one day! Her end was so sad, too. Handled so well, Rochelle, as always. You never know who will be covered. It all depends on where the path leads. I’m not quite sure how I arrived at this story, really. Thank you for your kind words. Nice to have you back in the neighborhood. I found your story touching. Irene expresses a very mature answer to Eve about their father. Flowers draped on the coffin seem very peaceful. A very interesting story for the prompt. Thank you for your lovely comments on my story. As for your question, I don’t presume to dictate to anyone what they can or cannot write on their own blog.Personally I’m not fond of use of profanity for the #$%^ of it. 😉 However, if you feel it’s necessary to the story go ahead. You can always preface your story with a warning for any who might be offended. I would also caution you about going overboard with it. Like dialect, overuse can detract from an otherwise good story. Thank you for asking. I hope that helps. The only rule I really impose is that of the use of the photo prompt. My comments are in response to your amazing writing so “Thank You” and Your welcome. having a cafe at Starbucks. I took longer to post because I didn’t want to use the blue language. My brain froze. However, I eliminated a few but for the intensity of the story left a sprinkle here and there. Hope you enjoy my story. And, I apologize in advance if it is offensive. A beautiful story and your writing is truly amazing. I felt like I was right there among them and part of the story, feelings their feelings as well. This is excellent! Thank you for your most excellent compliments. Rochelle, you have once again taken names and faces from our history books and shown them as people who love and are loved and who have suffered terrible personal loss for their contribution to humanity. Sad and beautiful and a pleasure to read. Your comments are a pleasure to read as well. As history comes alive for me as I write I’m pleased to read that my stories make it come alive for others. I love the research you put into your stories. Another story of an heroic outcome to a sad situation. They gave so much to mankind but, sadly, didn’t realize the full potential of their work. Great story, as usual. Thanks for telling her story here, Rochelle. What sacrifices they made for humanity. What passion they have for their work. Wonderful story telling. There was certainly more to Madame Curie than radium and research, wasn’t there? Thank you for such lovely comments. Such an inspiring and intelligent woman. Once again, a very interesting story. Last week was such a wipe for me…I want to be sure to comment here. Those who have something to cling to – for solace – and so fortunate. Some weeks are like that. As John Lennon sang, “Life is what happens to you while you’re busy making other plans.” I’m glad you made it by. Thank you for the read the comment. Great story of a great woman. I only wish it ultimately had a happier ending for her. You have an amazing way of drawing me in in so few words. It is a sad story but she achieved more than most, man or woman. Thank you for your kind words. Fabulous! 100 words to illuminate such a large piece of history. Thank you for reading and leaving such a lovely compliment. Oh dear, and no future for herself… Wonderful story. We admiringly read about famous people, but deep down, they are just human, full of fears and hopes. You show that so well. Loved it! awesome seeing a different side of someone who is part of history. Great use of the prompt! Thank you so much for coming by to read and comment. Glad you liked. I’m glad she received recognition for her brilliance. Many scientific discoveries made by women were credited to male associates through out the years. You made her human for me. Merci Beaucoup Rochelle. If you haven’t guessed by now, historical fiction is a personal favorite of mine. Perhaps it’s because I need to see the humanity in it rather than dates and events. I certainly agree that women haven’t been given enough credit for their accomplishments. At any rate, I’m happy you liked my story and came by to say so. A true team. And as Tracey said, thanks for making her human. As I said to Tracey, I think I need to see the human face in history, so I write it. I’m happy to take others along for the ride. It’s good remember strong women in the past, they’re our legacy. Rochelle, how you manage to carve out a historical piece of fiction is always amazing to me. You shine a well-deserved spotlight on a female scientist. If only history could include more stories about women like this, we would have a more complete picture of events. Beautifully written and told. There are so many unsung heroes in history. Finding them and bringing them to life (for myself as much as anyone) is part of the fun. i didn’t know much about her. now you just aroused my interest in reading more about her. I’d like to know more about her, too. This was very strong for me. I played the part of Marie Sklodowska (Curie) as a child in the school play and she has been a hero to me ever since. Thank you for commenting and for sharing that bit of your own history. Somehow it adds more life to it for me. Another wonderful story, that illuminates history. Vive! Well done, Rochelle! Poor Marie; he was so young, and she an unconventional, high achieving working mother. You portray her discouragement and pain so clearly. The world is fortunate she returned to the lab. She was a dedicated scientist. I’m glad there are people like that in the world. If all were artists like us we’d be in serious trouble. 😉 We’d be singing, painting and writing our stories on cave walls. You write historical fiction so well Rochelle. Poor Marie had a heavy load to bear with young children and a career which would have been frowned upon in those days. Good thing her husband spoke to her from the grave and she heeded his words. It would’ve been hard to be an ambitious woman in those times I think. A fascinating response to the picture. What a great insight into the life of a remarkable woman. I didn’t know Marie had any children. Learn something new everyday! It must have been difficult for her and the children, which you portray so beautifully in your story. It’s always nice to learn, isn’t it? I certainly did while researching this story. Love how you always entertain and enlighten. Nice! Thank you Caerlynn. Nice of you to say so. As ever, Rochelle, you’ve captured a moment in history and managed to dramatise it in a way that encapsulates so much in so few words. Your story of Marie demonstrates how a woman can have a consuming passion for her work, share it equally with her husband, and still have the space to love her family. I’ve not read the biography of this great woman, but I assume she’d no idea that radiation could kill, as it was an unknown when she started out. It’s a bit like cigarettes being promoted by doctors for good health in the first place, and advertised as such. I’m sure that Marie wouldn’t have knowingly put her children at risk. PS Sorry I haven’t been around much lately to participate in Friday Fictioneers, but had to battle with squeezing a great deal into a shrunken time slot. I’m sure the Curies had no idea about the effects of radiation at first. They certainly paved the way for amazing discoveries, didn’t they? Welcome back and thank you for reading and commenting. Again, you bring history to life. I envy your ability to be so descriptive without sounding a bit superfluous. Great, as always. Like anything, it takes practice. Writing flash fiction for the past three years has had an amazing effect on my longer writings. You gain a sense of what is necessary and what isn’t. I’m very grateful to Madison Woods for creating Friday Fictioneers and then allowing me to adopt her baby. Marie Curie’s story is just so fascinating. Medical history in general is very interesting. The humanity you captured, though, is what adds an extra kick to this part of the story. Well done! We’ve come a long way since the days of leeches and Laudanum, haven’t we? We do owe to brilliant minds like those of Marie Curie. Your stories always inform and entertain but never seek to lecture. Thanks for another interesting glimpse into the life of an inspirational figure. This is one of the nicest compliments I’ve ever received. I’ve always hated lectures. But life is funny and now her granddaughter Hélène Langevin-Joliot is married to Michel Langevin, the grandson of Paul Langevin. You make me want to dig deeper into Madame Curie’s life. I had no idea about the rest of the story. Thank you for sharing this. And thank you for your comments on my story. I really like this one. I commend how you went more with the feeling of the picture rather than something literal or even an abstraction of it. 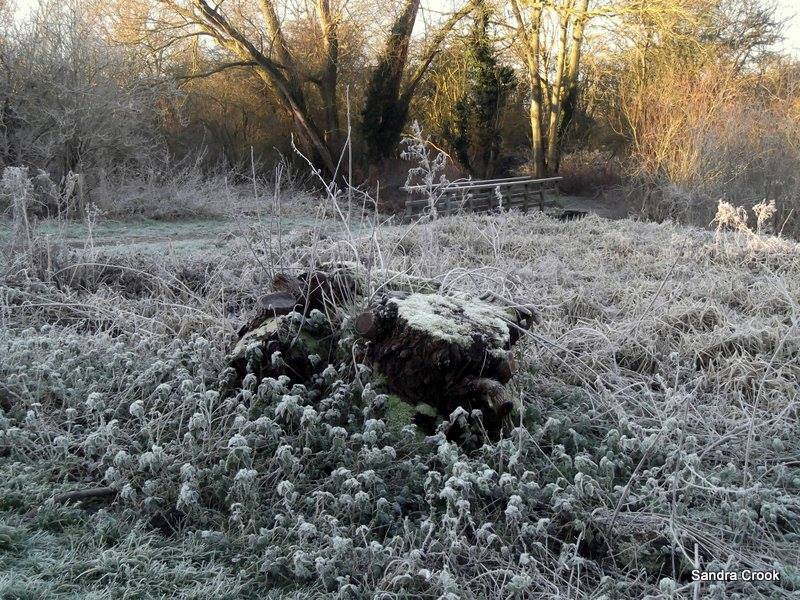 The feeling of new-found loneliness and physical cold seems not only very unique to the story but unique to how the story was crafted out of a similar picture. Excellent. Once again you put us in touch with the emotions of great figures from history. Maybe someday people will look back and write stories about my discovery of HPSS (Home Project Shock Syndrome). Everyday I check the mailbox for my Nobel Prize nomination. It must have went to the wrong zip code. You find inspiration at deeper levels than most. I like that about you. Your comment is one I will cherish this week. It’s nice to see you again. Thank you for taking the time to read and leave such a nice comment. I was a chemistry student and even for a while a chemistry teacher in what feels like a former life now. Wasn’t sorry to leave the strange world of the lab, but don’t regret it. Marie Curie was strong strong woman and probably deserves more of a shout – well done for reminding us what we owe her. I had forgotten that she had to work on alone without her Pierre. Thank you for taking the time to read and comment. Glad you liked. Calmly putting out that fire, whilst my heart was racing away, probably shortened my life by a few years, but earned me a good few ‘cool teacher’ points. I like the historical connection and pictures! A touching, bittersweet moment. Pictures always add to the story in my opinion. Glad she returned to her lab & created history! What an amazing woman she was, in her times that must have beem so difficult. The world owes her such a huge debt. It was fun to take a slice of her life and imagine what she might have been like. I’m sure it wasn’t an easy life. Wonderful blend of science and fantasy! I really enjoyed this.